busy for the State Herbarium of South Australia to open its doors to the community. 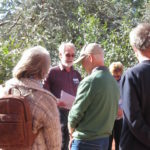 Visitors were treated to a summary of the history of the Old Tram Barn which now houses the State Herbarium of South Australia by Peter Canty. Escaping the weather which was at times wild and woolly, the tour also gave insights into a modern herbarium and its operation, along with getting to see some specimens of extinct South Australian plant species and some of the weird and wonderful collections by Michelle Waycott. 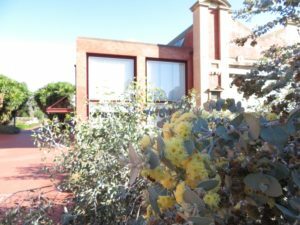 The interest in the building was matched by the interest in the Herbarium and the botanical science that is run out of the Herbarium. 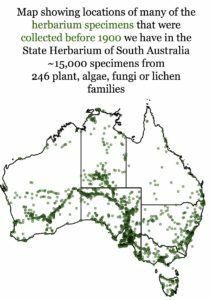 Publications of the Herbarium were also highlighted including our flagship publication, the Journal of the Adelaide Botanic Gardens, soon to be renamed Swainsona to honour our states floral emblem. 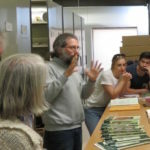 Jürgen Kellermann, our editor and Senior Botanist, outlined how the new publications we produce are made such that they are freely available online. A new fun fact about our collections is that more than 15,000 specimens we house were collected prior to 1900! 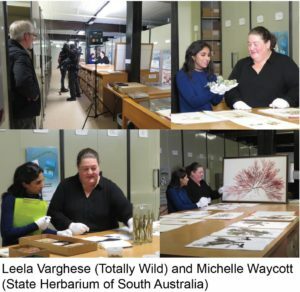 Last week, we also had the film crew from Totally Wild visit to find out about herbarium collections and some of the ways plants are named. The filming had some fun moments and we hope will provide some interest to younger audiences. This entry was posted in Events on 29 May, 2017 by Michelle.